Did you know that every day 115 Americans die from overdosing on opioid? 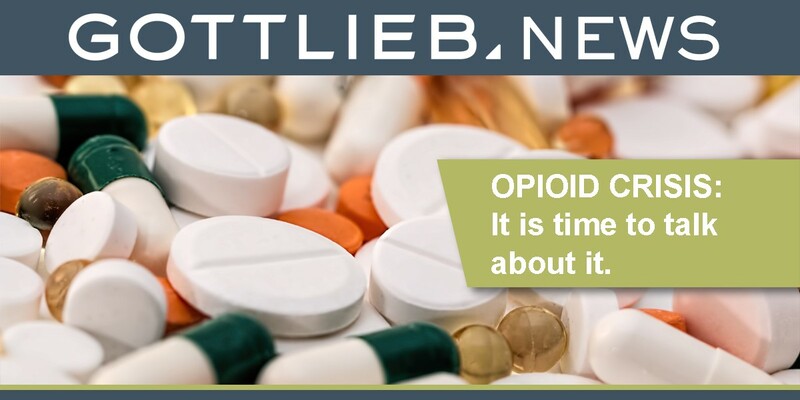 According to the National Institute on Drug Abuse, the misuse of and addiction to opioids, including pain relievers, heroin and synthetic opioids such as fentanyl is a serious national crisis that affects public health as well as social and economic welfare today. So how did we get here as a society? As most of the population becomes older and develops chronic conditions and comorbidities that require some sort of pain relief, opioids are being prescribed. Experts state the United States is in the throes of an opioid epidemic as more than two million Americans have become dependent on or abuse prescription pain pills. In a webinar titled, Effective Management of Opioid Abuse, by Josef G. Thundiyil, MD, MPH. Dr. Thundiyil is the Residency Director of Emergency Medicine at Orlando Health, Orlando, Florida. The webinar focused on the scope of the opioid epidemic, and the impact on our community, as well as ways to combat the expanding opioid epidemic. According to Dr. Thundiyil’s research, the US consists of 5% of the world’s population, yet we consume 80-90% of the world’s prescription narcotics. The mean age of users is 22.9 and 75% of addicts began with prescription opiates prescribed by a physician. The epidemic has resulted in over 500,000 deaths in 15 years. Because of these deaths, there has been a drop-in life expectancy. Dr. Thundiyil states that 1 in 20 people prescribed opiates for 3 or more days, will be on them for a year. Long acting opioids were more likely to lead to addiction/abuse. These include Oxycontin, Fentanyl patch, MS Contin, and Methadone. So, the question is, do narcotics work over a long period of time? He states that there is no significant efficacy but there is an increase in harm factors. These include high rates of dependency; misuse and addiction; serious overdose events; increased fracture risks; increased risk for heart attack; and increased risk for motor vehicle crashes. The epidemic is an iatrogenic problem, meaning organized medicine and physicians played a crucial role in fueling it, and healthcare professionals need to be a part of the path out of the epidemic. This can be accomplished by avoiding OxyContin, and other long-acting opioids, as a first line of treatment. No one is disputing that we have a huge problem on our hands with opioids and the pharmaceutical companies continuing to produce addictive medications. As a provider, be part of the solution, seek out other alternatives, such as those listed above. Get in touch with us by phone, or write us a quick note and we’ll get back to you shortly. Gottlieb transforms your practice data into meaningful analytics to help you make better, more informed decisions. Interested in a dashboard to inform your actions? Click here. Already powering your practice with Insight? Login here.